The internet has pretty much done for the traditional second-hand bookshop. I used to know of a least a dozen within half an hour’s walk in Brighton. Now I can only think of a couple. And besides, these days I don’t have the time or need to go browsing for second hand books. A cheap copy of anything is source-able through Amazon, Abebooks and the like. This is a pity in some ways. It’s killed off the art of stumbling on a chance, obscure book that offers a sudden fresh, potentially paradigm-shifting perspective. After all, didn’t Philippe Schmitter come up with the idea of democratic (neo-) corporatism after a chance second-hand find in aBrazilian livraria ? Despite this, I did stumble on something like this amid the celebrity biogs and crime thrillers on the book shelves of our local Oxfam shop: The Unity of Europe (Victor Gollancz, London 1943) by Hilda Monte, a thin hardback book of just under two hundred pages printed on yellowing wartime paper, published as part of the 1936-48 Left Book Club series, which served as a popularising outlet for socialist and communist ideas. 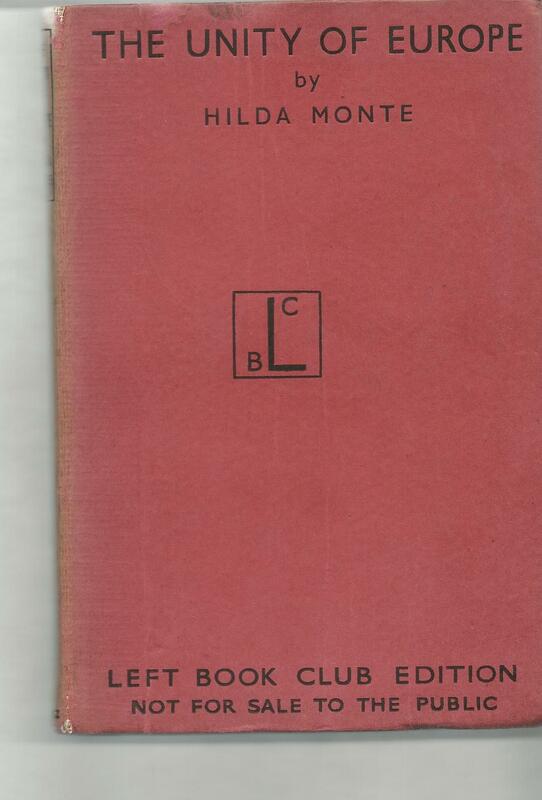 The book says Not For Resale To The Public – presumably you had to subscribe to the LBC – but I bought it for £1. 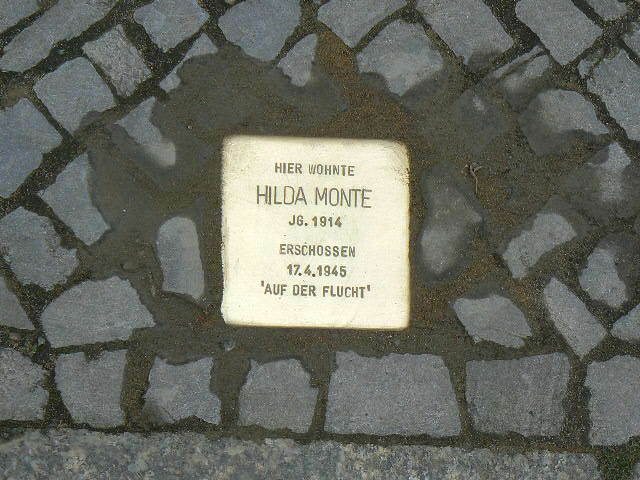 The book’s author Hilda Monte was, in fact, Hilda Meisel, a socialist/Marxist journalist and economist of a slightly unorthodox kind (never a CP member either in Germany or Great Britain, it seems) of a Austro-German Jewish background who came to Britain in 1929 and remained after the Nazi takeover and into the war. Her book is one a broad genre of the period by writers of various political persuasion anticipating the political and social shaper of post-war Germany and post-war Germany. Part of this mix – awhich we we we are still grappling 60 years with this – is this issue of co-operation, federation, integration of now, small and declining European states, whose political and economic power had peaked. 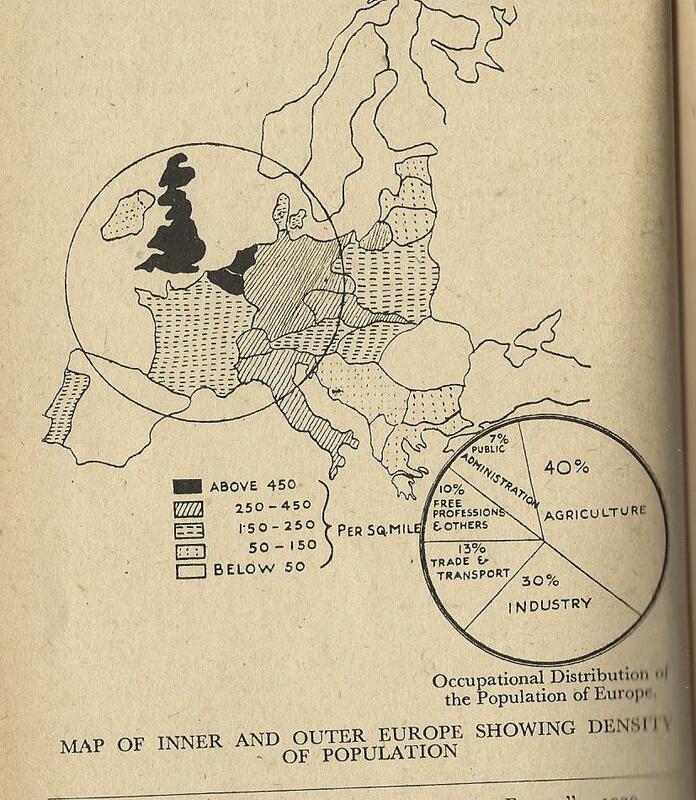 Proposals for a more federated and united Europe were, of course, two a penny in 1930s and 1940s. Fascists, liberals, agrarians, socialists and communists all seem to have pretty much agreed that the interwar European system of multiple sovereign national states was a resounding failure. But Meisal’s argument is that as (more or less), a single economic unit, Europe needs be integrated as a whole (including Germany), rather than in the more widely floated form of two-three state federations with purely geopolitical rationales. She also rejects idea of initially integrating industrialised developed West European states – the form that integration, in fact, took after 1956 following the convenient amputation of the East by the Cold War division of the continent. The form of integration she proposes is, naturally, of the left. Although aware of the need for decentalisation where possible (subsidarity, we might now call it), the socialist ‘‘European Union’ she envisages will be based around a European Central Authority to include both representatives of national government and the functional representation of interest groups – a prophetically Schmitterian touch – which will control post-war reconstruction, trade and immigration policies (140-1). Institutionally, she sees that a ‘… European Central Reserve Bank will need to be established, and either one single currency introduced across the Union, or a fixed relationship between currencies established’ (p.141). Reasonably enough, given that this is 1943, she does not elaborate on just how these post-war institutions will come about or what they will look like – although the Tennessee Valley Authority of the Roosevelt New Deal is mentioned and, in general, the economic prosperity generated by Europe integration is expected to trump popular attachment to national states (at least in Eastern Europe). In outline, a kind of Marxist Monnet Method. (and indeed global) economy in terms of fairly modern terms core and periphery (‘Inner Europe’ and ‘Outer Europe’ as she puts it). However, the under-development and unevenness that preoccupies her is that between rural underdeveloped economies of Eastern and Southern Europe, on one hand, and industrial and/or modern economies of Scandinavia and Western Europe, on the other. She is thus very much focused on agrarian modernisation and peasant politics and strategies for industrialisation of the Balkans and East Europe. Come the 21st century, such an East-West split is still with us, although it is no matter a question of industrial core versus agrarian periphery. Communism in Eastern Europe – not surprisingly, only distantly and vaguely anticipated an author writing at a time when German troops were in Stalingrad – brutally industrialised and agriculturally modernised the region, leaving its own distinct legacy of backwardness. The Cold War division of Europe is only unanticipated: possible Soviet influence in Eastern Europe is seen as a benign complement to the socialism she hopes and believes and will develop at the heart of the continent. This is founded on a rosy, not to say naïve view of the economic and political system of Soviet Union, characteristic of much of the British Left in 1930s and 40s, as George Orwell lamented at the time. ‘[W]ho knows’, the author asks ‘if , with fewer goods to buy and rather inadequate housing conditions, the workers and peasants of the Soviet Union have not been better off because they had not be afraid of idleness or lack of markets’ before claiming still more implausibly, as we now know with half a century’s hindsight that the USSR had ‘… devised methods of directing and controlling economic life without depriving the individual of every chance of making economic decisions’ (122, 137). The author’s analysis of the prospects for post-war Europe has a similar dose ideological wishful thinking: ‘socialism’ – vaguely defined in terms of economic planned, collective ownership and workers’ control – is the only solution. Nothing else will do and a renewal or rebuilding under Capitalism Brought Up To Date is unimaginable. Proposals for what sound like a form of democratic social market corporatism or ‘co-determination’ – from of all quarters, the Federation of British Industry (the main employers’ organisation, forerunner of today’s CBI – are roundly rejected. A mistake, you feel in hindsight, given how easily the post-war settlement was dismantled in 1980s without formal corporatist institutions in this country. Sadly, Hilde Meisal did not live to see the end of the war to do a second take on the subject. As interested in active resistance than writing and theorising – unconfirmed rumours say she was involved in a 1939 plot to assassinate Hitler – she became in clandestine operations of the US OSS (the precursor of the CIA) to infiltrate intelligence operatives into Germany and was shot by an SS patrol on the Swiss-German border 18 April 1945. She is best remembered as (in Germany) as a resister, leaving behind fragmentary journalism and pamphleeting in German and English as well as two-three books for a popular audience of which The Unity of Europe is the most substantive. If she had survived and lived a long life, she would be 97 . You wonder what she would make of today’s Europe, the EU and its current crisis. Last year’s Czech elections were noticeable for the political breakthrough of two new pro-market centre-right parties, TOP09 and which contributed to large, if now very shaky, majority centre right coalition, TOP09 and Public Affairs (VV). 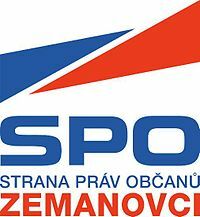 A less well noted feature of the election, however, was the relatively good performance of two new(ish) extra-parliamentary parties of the left: the Citizens’ Rights Party – Zemanites (SPOZ) led by… yes, you guessed it former Social Democrat Prime Minister Miloš Zeman, and the Sovereignty (Suverenita) bloc led by former TV newsreader and ex-MEP Jana Bobošíková. Although neither made it into parliament, the 8% of votes they pulled in between them arguably contributed as much to the failure of the Social Democrats to win their widely predicted victory as the allure of new pro-reform parties: Sovereignty gained 3.67% , while Zeman’s SPOZ came a bit closer to the 5% threshold with 4.22%. Both gained some modest state funding, although Sovereignty did manage 4.26% in the 2009 European elections. Both SPOZ and Sovereignty are politically still in business, but for my money of the two Sovereignty , the weaker grouping in 2010, which re-elected Jana Bobošíková as leader last week is the more interesting and potentially the more significant. Economically, Sovereignty seems to lean more to left than right, vigorously denouncing members of parliament for living high on the hog at public expense while condemning ordinary people to austerity. Shrewdly aware, that there are more discontented older people than young people in the CR – and that discontented pensioners show up to vote more often – Sovereignty has also been careful to make a lot of noise opposing pension reform. Its programme also contains a dose of economic nationalism of the kind popular even in the mainstream in 1990s: Czech technology, building up Czech (-owned) industry and so on. Bobošiková’s re-election as leader of her party was not exactly a surprise. Until recently, the part was, after all, called Sovereignty – the Jana Boboíiková Bloc and the one time newsreader, former presidential and ex-MEP is by far the best known figure of the eurosceptic and populist group. Her re-launched, renamed party was officially formed in 2009 an amalgamation of independent groupings and fringe parties, but Ms Bobošíková’s career in politics and public life goes back rather earlier. A newsreader and presenter for state-owned Czech Television from the mid-1990s, she was one of the few journalists to side with the station’s new management during the ‘Television Crisis’ of 2000-1, which saw strikes, blacked-out screens and mass protests against alleged efforts by the Czech Republic’s two major political parties to emasculate the independence of the country’s main public broadcaster. In 2006 Ms Bobošíková formed the Politika 21 party as a personal vehicle, which attracted some media attention when it fielded the estranged wife of Prime Minister Miroslav Topolánek as a Senate candidate, but made little political impact otherwise. She also hit the headlines in 2008 accepting nomination to stand as an independent presidential candidate by the Communist Party, but withdraw before MPs and Senators could throw her out in the first round of voting. Seemingly trying to repeat the model of the 2004, she formed Sovereignty in 2009 as a coalition between her own top-down creation and the long-time fringe grouping, the Common Sense Party (SZR). The grouping was later joined by the Secure Life Party (SŽJ), a grouping claiming to represent socially disadvantaged groups such as pensioners, disabled people and single mothers. The newly re-launched Sovereignty – Bloc of the Future (SBB) (the Bobošíková bit has been dropped) also appears to have rudimentary, but functional organisation, if we take local elections as a crude proxy. In October 2010 Sovereignty was able to field 1639 candidates , a fraction of the total but respectable by the standards of Czech minor parties, not bad. 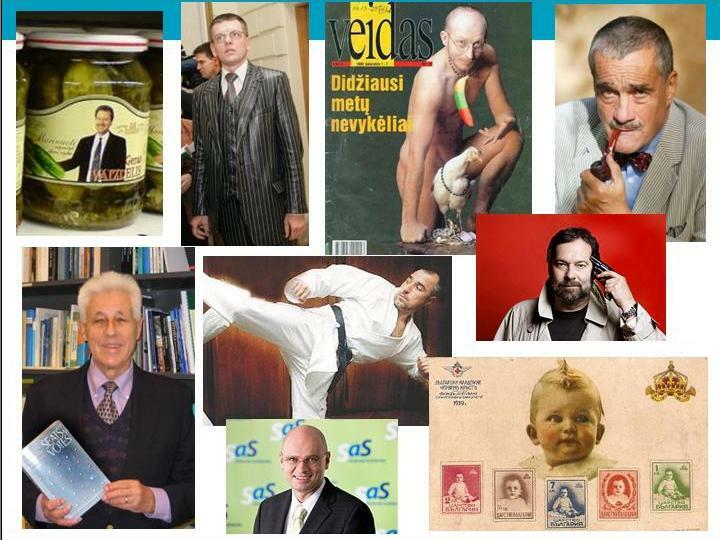 The faction ridden Czech Greens, for example, a fairly long-established party which represented in parliament between 2006 and 2010 only managed 1, 998 (although the Zemanovci had 2554) (For reference Věci veřejné (VV), the smallest and newest parliamentary party ran 4,500 candidates). Predictably new parties did rather less well in terms of candidates elected – (Suverenita) had a mere 61, the Zeman-ites 81, Public Affairs 267, but – independents’ groupings aside – no one builds a party from the grassroots up in the CR these days, do they? However, being electorally outshone by the Zeman grouping, as I mentioned, sovereignty has a number of unusual features, that make it a party worth watching – and perhaps a grouping that may spring a surprise in 2014. 1. Despite being regarded by critics as an opportunistic lightweight (‘Bobo’), Ms Bobošíková is a relatively experienced and media savvy figure with immediate recognition, who unlike the semi-retired Zeman is an energetic and active figure. Despite multiple establishment contacts, she is also a credible outsider and as a woman a relatively novel outsider. Prominent women politicians in mainstream Czech parties have generally fared badly, often being brutally marginalised by male colleagues. Like Public Affairs which used its female leaders to emphasize its novel and anti-establishment credentials (before shunting them aside) Sovereignty – one of whose 2010 slogans was Chcete změnu, volte ženu (Vote For A Woman If You Want Change) clearly knows how to play this card. 2. Despite its harshly old-fashioned sounding nationalism, the party is in the Czech context something of transcender of established divisions. It is not obviously of left or right. It is neither communist or social-social democratic in origin, but neither is it anti-communist. Consequently, it seems able to draw in a remarkable range of sympathisers from other parties and backgrounds, ranging from ex-Communists like Senator Jaroslava Doubrava (of the regional party Severocesi.cz) to detached eurosceptics of the right linked to the pro-Klaus wing of the Civic Democrats, such as Vlastimil Tlustý and ex-Social Democrats such Jana Volfová, a former General Secretary and close confidante of Miloš Zeman, most recently associated with the Secure Life Party. Two MPs expelled from Public Affairs are also reportedly keen to join. Ms Bobošiková’s ideological fuzziness and good personal connections with both left and right clearly help here, but at a more underlying level she is helped by the fact that illiberal assertive Czech nationalism of a populist and anti-German stripe has pedigrees – and hence possibly popular appeal – on both left and right. I say ‘possibly’ because in 2010, according to exit polling, Sovereignty, like Zemanovci, took voters mainly from the Social Democrats and had only slightly wider appeal to former right-wing voters than Zeman and co. Moreover, rather tellingly Sovereignty took an atypically large slice of former Communist voters and the age and educational profile were squarely that of a party of the Czech left: older and less well-educated. Indeed, more so than that of voters for Zeman and his ex-Social Democrat veterans. 3. The third important element is the melting iceberg of Czech party system stability. Two new parties burst on to the political stage on the centre-right in 2010 while the Social Democrat (ČSSD) lost out to Sovereignty and SPOZ, meaning that overall new challengers took around a third of the vote. The short-term net effect of such instability has, paradoxically, been to consolidate the Czech party system: Public Affairs has, as was widely anticipated, gone into electoral freefall and both SPOZ and Suverenita have faded to 1-2 per cent support in the polls. If an election was held tomorrow, polls suggest, four largish parties would make it into parliament, rather than the 5-6 that have been the case since since the mid-1990s. Three of these (Civic Democrats, Social Democrats and Communists) are, moreover, well established parties that have also been around since 1990s. So much for party system change? But, as various political scientists have pointed out, once the new party habit has been acquired it is hard to kick and, as 2010 elections in the Czech Republic, Hungary and Slovakia shown, come election time challenges can come right. Moreover, Ms Bobošíková claims to have learned the lessons of Public Affairs ill fated efforts to sustain itself as an organisation-lite Facebook party. Whether she can build a ‘mass party’ out of the current modest set up and ragbag of supporters must be questionable, although as a former Social Democrat general secretary with a subsequent track record in minor party politics, Jana Volfová, should know a thing or two about how (not) to go about it. In 2014 with economic austerity still biting and the EU possibly not looking the healthiest – certainly not the guarantee of economic stability and prosperity it once unfailingly appeared – a eurosceptic, populist party with cross-over appeal, that is relatively immune to anti-communist criticism (although the charge of right-wing extremism and flakiness could stick given the weird and wonderful collection of minor party politicians beating a path to its door) could do well. SPOZ, I predict, is unlikely to be the the force it was in 2010: its relatively good performance last year was dependent a remarkably high profile (and expensive) national billboard campaign. Some say it was financed by Russian oil company Lukoil, others wonder if right-wing donors saw it as useful spoiler party. In any case, the party may be able to rely on big money again. Suverentia, by contrast, had minimal billboard visibility. The party is also dependent on the mercurial figure of Zeman, whose has made repeated forays into and out of political retirement over the past few years: characteristically, resigned has leader of the party that bears his name after the election in recognition of its failure, but is still honorary president. Just to erase any lasting impression of greater moderation, Mr Zeman has also recently made his own contribution to emerging new lefrtright conservative-national ideological cocktail with a remarks (later elaborated on for good measure) explaining that Isalm is an enemy ‘anti-civilization’. Somehow, I don’t see Zeman as a Czech Pim Fortuyn. Whether Ms Bobošíková will become some kind of Czech Sarah Palin or Pia Kjærsgaard is an altogether more intresting and open question, however. The Centre for East European for Language Based Area Studies (CEELBAS) research consortium which has brought researchers interested in various aspects of Russia and CEE at UCL, Birmingham, Oxford and beyond together in a variety of events and networks over the last few years is moving into its concluding phase, at least as far as social science are concerned – it will continue as a slightly different form dealing with culture and humanities. To mark its achievements the Centre held a conference which saw me chairing a politics panel trying to paint a big picture overview of post-communist transformation, as well as providing characteristically generous support for a series of more specialised workshops, including one I co-ran with Birmingham’s Tim Haughton and my SSEES colleague Allan Sikk on changing patterns of party stability and instability in CEE. The bigger picture conference panel, slightly to my surprise at the time – although in hindsight it is perhaps less surprising – assumed the form of kind of clash between David Lane’s pessimistic and critical view of the trajectories of post-communist states, which he saw as having been set back or impeded in socio-economic and developmental terms by the attempted creation of market societies and market democracies. He anticipated new projects of statism and/or state corporatism with echoes of interwar Europe. Other panel members – and at at least one questioner from the audience taking a social democratic perspective – questioned both some of the statistics and some of the assumptions: simple measures of output and development were surely misleading and increases in choice and personal freedom (both economic and – sometimes – political) had to be factored in. Moreover, where were the strong organised social interests required for experiments in (neo-)corportatism to come from? The more optimistic strand of the discussion, from panelists who it must be said tended to foreground the experience of CEE, centred on the role of the EU and domestic elites in delivering relatively successful outcome, although there were some differences of emphasis about the nature of Polish politics – were the divisions between liberal and national-conservative camps that currently structure the party politics of CEE’s largest democracy legacies of Solidarity or a more durable and contemporary culture war? I, alas, had to close the proceedings to avoid melting down the conference schedule. A rather good panel on post-communist social networks, which I caught the end of after rushing off to discuss a student’s dissertation plans with her, was waiting in the wings. 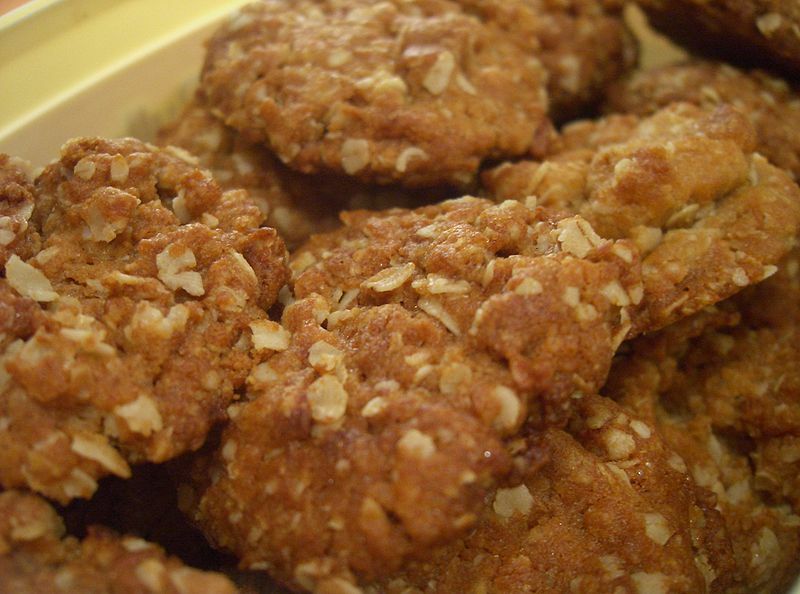 The theme of party politics , as well as some of the surplus biscuits from the conference, were, however, taken up in our smaller workshop the following week, where a dozen or so party specialist pondered the fact that – with the recent breakthough of new parties in previously stable-seeming party systems in the region – CEE party politics could no longer be understand as a weak, partical approximation of West European party systems. The first panel centred on Stephen Whitefield and Robert Rohrscheider’s findings on the different forms ‘representational strain’ generated by party-voter relationships in CEE and Western Europe by parties trying to accommodate voters with different levels of partisanship. Interestingly, they find, Western Europe offers a tougher and more complex environment for parties than CEE, highlighting (perhaps) the gap in organising and campaigning capacities in the two halves of the continent. Their forthcoming book promises to be a real highlight. Panel two saw Allan Sikk and I presenting our current work in progress on the emergence of anti-establishment, pro-reform parties in CEE. Like our fellow presenters, Andreas Bågenholm and Andreas Johansson Heinö (who has a very readable – even via Google translate – blog here dealing mainly with Swedish politics) we see the politicisation of corruption and the (party) politics of anti-corruption as an important party of the story, but we are also fans of Qualitative Comparative Analysis (QCA) and causal complexity as our preliminary work suggests that not only are there other factors are also in play and that are several ways for these parties to break through. As Andreas and Andreas’s paper, which dealt with the impacts of the same set of moderate anti-corruption protests parties, suggests, however, ‘corruption’ may be as much a stand-in for more inchoate dissatisfaction and disgust with politics than bribe taking and –making. Some workshop participants think that a certain mix of high and low real-life corruption is needed for this kind of party to step onto the political stage, but I am swept away by the idea of corruption of a political metaphor. What every CEE specialist should be reading? There is more political metaphor in panel 3 in which Tim Haughton and Kevin Deegan-Krause lead off with an outline of their work on larger, more enduring mainstream parties (‘hardy perennials’) and, less horticulturally, suggested a threefold recipe for survival (effective leadership, organisational capacity, meaningful programme/identity) in the electoral jungle. 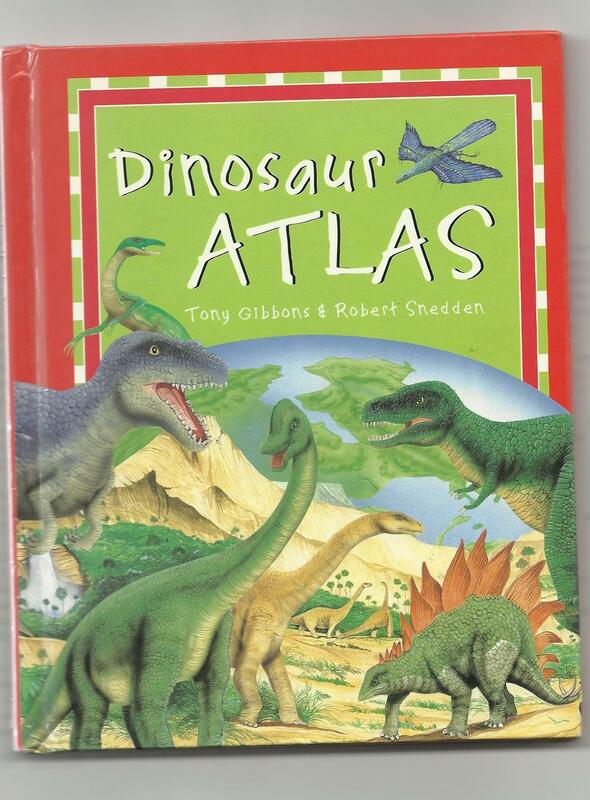 Although like me a fan of his children’s dinosaur books, Kevin resisted my suggestion that such large, well evolved beasts called for more of a Jurassic Park analogy. The surprise package of the workshop – and a theme running through discussion across the workshop – was the role of party organisation and specifically its role in anchoring enduring parties in CEE, nicely highlighted by Raimondas Ibenskas’s presentation on Lithuania and – as Mazen Hassan’s presentation on party institutionalisation showed – new democracies generally. As these – and David Art’s book (reviewed in an earlier post) – suggest from being something of niche interest in party studies the study of party organisation (and what ‘organisation’ in fact means) may be moving centre stage. 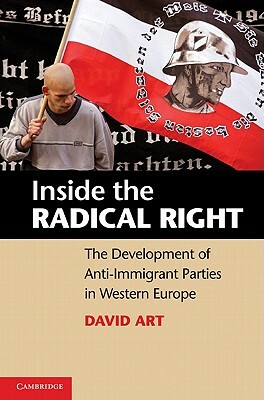 David Art’s new book Inside the Radical Right: The Development of Anti-Immigrant Parties in Western Europe (Cambridge University Press) is one of the boldest and most interesting pieces of writing on comparative European party politics I have seen for a long time. Its deceptively simple thesis is that the success of radical right parties in Western Europe is not, as conventionally argued, the combined product of differing opportunity structures (types of electoral system, party system format and so on) and differing social structures (varying levels of ethnic diversity, structural unemployment etc), but of the capacity of the far right to build and sustain political organisations and professional and credible core of activists suited to the demand of electoral politics. Nothing, Art argues – pointing out the contradictory morass of comparative findings is consistent with the reality that social demand for anti-immigrant ethnocentric policies is roughly the same across Western Europe and that countries with similar institutional and social structures often present quite different outcomes for radical right parties: one of several pertinent examples that the example Art offers is that of Belgium where the success of Vlaams Blok (VB) in Flanders contrasts with the erratic and marginal performance of the National Front (FNb) in Wallonia. 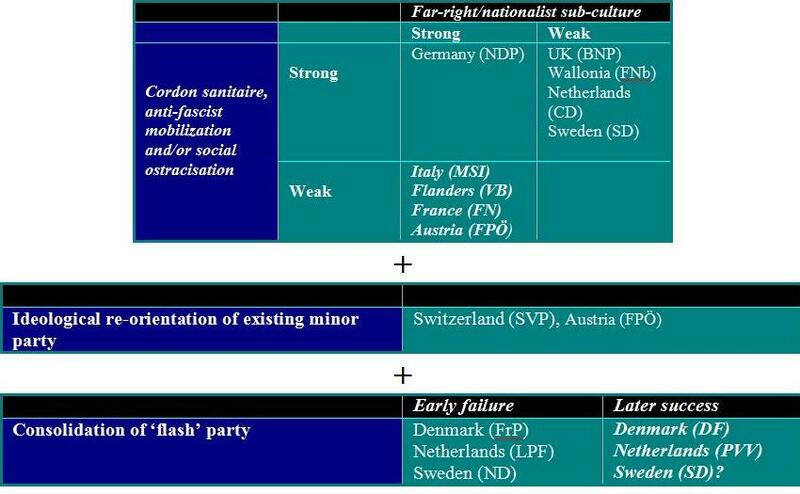 Success or failure in organisation building – which Art argues often precedes electoral success – is dependent partly on the presence of sufficient large nationalist and/or radical right subculture, offering a source of recruits and a short-cut to long-term and disciplined party building, and the extent to which the radical right is socially and politically isolated through cordons sanitaire and social ostracisiation. While intellectuals, professionals and local notables pay little price for joining the Danish People’s Party, membership of (say) the British National Party would be a route to social isolation and career suicide. Anti-fascist mobilisation, even of a fairly violent and intimidatory kind, is also found by Art to an effective sanction on far-right recruitment among the well educated and political experienced, if it comes at the right time. Where there is a broad, established far-right sub-culture reaching into the middle or upper classes and tolerant or pragmatic acceptance of the radical right, the road is open (eventually) for it to succeed in party politics. An alternative route explaining the success of Denmark’s DF and the Freedom Party in the Netherlands is the success politicians, who rise to power at the head of ‘flash’ parties, but realise that serious and early organisation building – and a shift to fill the gap on the anti-immigrant right – is needed if they are to stick around. Transforming an established minor party into a radical right, anti-immigrant actor is a further alternative and shorter route, which swops the advantage of having an existing organisational structure in place with the disadvantage of having wage ideological battles to kick out rival factions. This Art suggests occurred in the case of the Swiss People’s Party (SVP) (originally an agrarian formation) and to a lesser extent Austria’s FPO (notionally a liberal party, but always something of a subcultural vehicle for former Nazis). 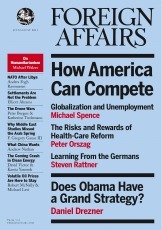 Art’s arguments boldly put party organisation – normally something of a Cinderella subject -centre stage in explaining the entry and survival of new political parties, although as the book makes clear large amount of private or state cash can, when carefully husbanded, be effective for voting winning, at least in the short term. Gerhard Frey’s German People’s Union (DVU) uses its millionaire founder’s cash for mass mailshot campaigns, while Geert Wilders Freedom Party (PVV) has only one formal member (Wilders himself) backed by a handpicked cadre of loyal followers. As Herbert Kitschelt’s blurb comments suggest with characteristic Exocet-like accuracy, while the book makes its argument for the importance of organisation and its precursors as an anchor for small, emergent, defeated and marginal parties, it is less clear whether it overturns or merely complements existing explanations based on variations in socio-economic and political opportunity structures. Indeed, in some ways the book offers a very similar, but organisation-focused, structure and agency mix: historical legacies and nationalist sub-cultures take the structure role with established parties’ cordon sanitaire strategies (or lack of them) and anti-fascist mobilisation supplying variations in agency. (Social disapproval of far-right activism may perhaps be a structural factor, so the structure/agency split is not cut and dried). The book could also perhaps point up more that, while organisation may matter generally (or, at least often,) there may – as my diagrammatic summary hints – seem to be multiple paths to far-right success, rather than one over-arching formula, with Scandinavian cases , particularly, seeming to stand in terms of their origins and conditions of success – a very clear finding of Veugelers and Magnan’s 2005 article using configurational comparison to test out Kitschelt’s theories on the conditions of far-right success. An interesting question is how well Art’s model(s) travels beyond the eleven West Europe states covered in the book: the Spanish case (and perhaps that of Portugal? ), for example, would seem to echo the German pattern of strong historical far-right subculture in a new democracy where the emerging centre-right keeps radicals at arms length politically, while co-opting its more able or more moderate elements. For me, naturally, the still more interesting question is how well Art’s model might travel to Central and Eastern Europe. Surprisingly, on first examination it seems to cross over quite well: Slovakia, Croatia, Hungary, Romania and, to a lesser extent, Latvia seem to have success radical right parties and nationalist intellectual and social milieux, looking favourably or ambiguously, on interwar fascist movements and/or episodes of wartime collaboration with Nazi Germany. Slovenia, where historical controversy has raged over the role of the role of the wartime Domoobranci (Home Guard) , also seems to fit the model, although the origins and ideology of the Slovene national Party (SNS) seem more eclectic than the kind of party political projection of certain sub-cultures as, for example, with the identically acronymed Slovak National Party (SNS). Poland represents, as so often, interesting case with strong tradition of integral nationalism, but where collaborationist and neo-Nazi traditions are, for obvious historical reasons, marginal or absent. The Czech Republic, by contrast, approximates to the Dutch/Danish/British pattern of having a weak and marginalised far-right sub-culture, utterly cut off from the political mainstream: the experience of the Republican Party (SPR-RSČ) – represented in the Czech parliament in 1992-8 – also offers a nice illustration of how not to consolidate party organisation – the party leadership did not entirely neglect building an activist base, but was too egocentric and authoritarian to hold the party together. It seems tempting to put Bulgaria’s Ataka in the same category, although as a colleague recently pointed out to me recently, there are radical nationalist traditions and an anti-semitic Orthodox-oriented extremist sub-culture. The question of cordons sanitaires in CEE is, however, perhaps more difficult : there is little in the way of strong anti-fascist mobilisation in a region where social movements – and especially social movements of the radical left – are weak. To the best of my knowledge there are no formal cordons with radical right parties actually represented in government in Slovakia and Poland, although mainstream parties’ treatment of the Republicans in 1990s perhaps comes closest. Interestingly, however the SNS in Slovakia was a coalition partner for the centre-left, rather than Christian Democratic and liberal centre-right for whom such co-operation seems much less conceivable. In the end, what may matter more than an assessment of party strategy in CEE is whether radical and mainstream are on an ideological continuum, or whether (as in the Czech Republic and Slovakia) they have different political and ideological points of departure. When all is said and done, however, Art has written a fine academic book which offers some elegant and orignal big picture comparison in an exceptionally clear and readable way interweaving important comparative argument about politics and part development with informative and sometimes close-up accounts of the highways and by-ways far-right activism. Perhaps, I thought, there was actually a (his)story of technology and social and political revolution? After, all historical analogies about political processes – comparisons of the Arab Spring with the Revolutions of 1989 in Eastern Europe, Europe’s Springtime of Nations of 1848) – are not in short supply. Standage’s book offers a readable account of the social impact of the Victorian internet – and makes a reasonable case that this analogy – but, unfortunately, doesn’t really answer this question: it has hapters on the new communications technology and war and peace, as well as a discussion of the changing timescale of news reporting (foreign correspondents reporting in hours or days, not weeks). A similar point s made by Tom Wheeler writing how the North’s use of the telegraph (Mr Lincoln’s ‘t-mails’) won the American Civil War. Little or nothing on the 19th century ‘internet’ and grassroots social protest and mobilisation, however. Perhaps these technologies were just less emancipatory and usable by non-state actors, hence the lack of research. Or maybe you know different?